Sip hot ginger water made with feshly grated ginger after meals to increase digestion and for more energy and better immunity! 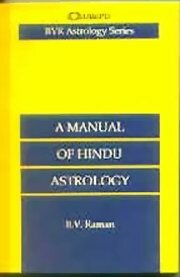 This manual is devoted to the exposition of the important and essential principles of Hindu Mathematical Astrology to enable casting of horoscopes according to the approved rules of Hindu Astrology. All unnecessary and superfluous information constantly employed by writers on Mathematical Astrology, which are not only cumbersome but also unimportant from the point of view of correct predictions, has been omitted. To caste and read a horoscope, a moderate knowledge of Mathematical Astrology is simply valuable. This book deals with such aspects as the determination of the longitudes of planets, house-cusps, sunrise and sunset and other information essential for constructing a horoscope. A separate chapter, exclusively devoted to describing the method of casting the horoscope etc. according to the Western system and its reduction to the Hindu, has been included and this goes to enhance the value of the book by making it accessible to the Eastern and Western students alike. This is a complete guide to the calculation of Vedic horoscopes, including divisional charts. It is also a guide & reference to Hindu concepts of time measurement (Vighatis, ghatis, etc. ), sunrise & sunset calculation (when the sun is half-risen or set), instructions for the calculation of divisional charts, etc. The book is intended both for the beginner and the advanced. 6. Lords of Vargas (includes those of divisional charts). Dr. B.V. Raman was the renowned astrologer and author. He was the Chief Editor of The Astrological Magazine. He had number of titles to his credit. He held a string of titles such as Abhinava Varahamihira, Jyotisha Bhanu, Jyotisha Vignana Marthanda, Jyotisha Ratna, Abhinava Bhaskara, Jyotisha Bhooshana etc. He was a Fellow of the Royal Astronomical Society, London and a Member of the Royal Asiatic Society. Dr. Raman had influenced the educated public and made them astrology-conscious. His special fields of research were Hindu Astronomy, Astro-psychology, weather, political forecasts and disease-diagnosis. He was widely traveled man and addressed the elite audience almost throughout the world.